Put flank steak into a shallow glass or ceramic dish. To make marinade, combine garlic through to extra virgin coconut oil in a blender and blend until smooth. Pour half the marinade over flank steak, turn over to coat both sides, cover and refrigerate for at least 30 minutes and up to 24 hours. Refrigerate remaining marinade as well. Grill flank steak for 5 to 7 minutes on each side for medium-rare. Set on a cutting board to rest while you finish salad. Put remaining marinade into a small saucepan and add 3 tablespoons water. Bring to a simmer over very low heat and cook for 3 to 4 minutes. In a large bowl, toss watercress, scallions and carrot with warm marinade. Slice flank steak into thin strips. 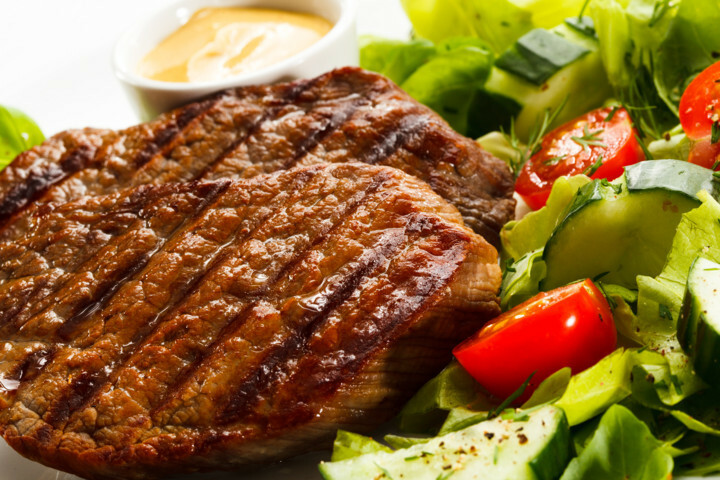 Pour any juice from meat over salad and toss it inches Serve flank slices alongside salad.